All Hi and Welcome to my website. On the following pages you will be able to get an insight into the quality of dogs I am breeding and have bred in the past. 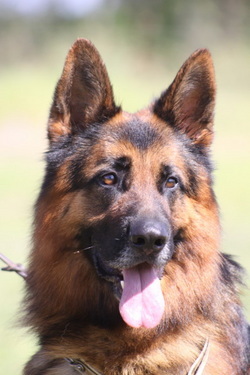 I will also introduce Hill Magic and Bhuachaille Kennels' German dogs, Turbo v Casselswald, Sch H3, a-ED, Kkl1, DM Tested clear DNA Proven and also Tais vom Haus Alfabo, IPO 1, a-ED, DNA proven. Note, all content on this website is covered by copy write. No photos or text may be copied or taken from these pages.